At Stony Brook School, we follow an emergent, project-based curriculum that builds upon children's interests and skills, as inspired by the Reggio Emilia approach. Our teachers have been trained to carefully observe the children's activities, and will reflect upon their experiences and understanding in order to encourage further experimenting, questions, and opportunities for critical thinking and analysis. Through documentation, such as photographs, verbal transcripts, interviews, individual portfolios, and a weekly classroom digest, parents will have the opportunity to stay connected to what their child is learning during their time with us. 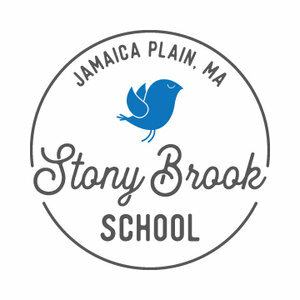 Play, provocations, process and partnerships are some of the keywords that you will hear regarding the philosophy and approach at Stony Brook School. What do they mean in our context, and how are they relevant to your child's development? How do we view parents/caregivers as partners in a child's educational journey? Maria Montessori called play “the work of the child” - meaning that play (skillfully defined by Steven Gross, Director of the Life is Good Foundation, as: “the motivation to freely and joyfully engage in, connect with, and explore the surrounding world”) is the main vehicle through which children acquire knowledge, and make sense of their physical and social worlds. Supported by progressive early childhood research, we do believe that play is the most important work of the child, and the ability to exercise choice with open-ended, sensory rich materials, and to deeply investigate the things that they observe, sets the stage for all future learning and endeavors. In addition, play is the primary vehicle for testing and practicing vital skills for social emotional learning, understanding cause and effect, working with and alongside peers, and testing out difficult concepts. As educators, we gain insight into the thoughts and interests of students, which then informs how we guide, plan, reflect on and facilitate more joyful experiences and playful inquiry. Our teachers are skillful observers of children. They combine their understanding of child development with their observations and the emerging interests and inquiries of children, to create strategic conditions, or provocations, that help engage and invite children to make further discoveries, generate new ideas, experiments, and hypotheses within the context of their play. Teachers then collect data, documenting the children’s discoveries and learning, by collecting samples of the children’s work, recording transcripts of conversations, and by capturing images and video of the children’s experiences. They analyze this data to assess the social and emotional development, fine and gross motor skills, and cognitive development of each child, in order to share a child’s growth, milestones, and progress with families. Because learning takes place over time within our classrooms and surrounding environments, we focus on process, or the evolution of ideas and concepts created by exploring, experimenting, discovering cause and effect, and making natural connections, vs. product, or a short term representational outcome intended to show learning. One example of this can be illustrated in how we view art. Although many typical preschool classrooms churn out daily craft-like “art” projects (product), we will not. The simple reason being that our art is sensory based, large scale, and focused on child-initiated process, collaboration, and the overall experience for each child. We believe this type of art-making is the most developmentally appropriate and beneficial method of working with preschool aged children, and bears the least intrusion of adult directed discoveries. Our focus on process carries over in how we approach early literacy, math, science and engineering concepts as well. While we will not present traditional worksheets, trace letters, or color pre-printed pictures, we will have a communication rich classroom. Our environment will be conversation-based, with visible documentation of student work, real-time reflection, and provocative/leading questions to enhance learning opportunities. With ample time dedicated to reading, listening and dramatically engaging with stories, children will recognize, hear, and sound out letters and words, while also building context and skills like critical thinking, problem solving, and empathy. Daily sensory explorations are tied to the concepts that emerge in class, and involve the use of varying utensils and mediums (narrow and wide paint brushes, thin and thick liquids, sprayers, bottles, tweezers, clays, magnetics etc.) that help develop the critical fine motor skills for building, creating, tinkering, and learning how to write. Language is an intentional part of our process. We carefully consider our comments and refrain from blanket praise (ex: "good job!") that focus on children’s efforts, thinking, and learning goals in an effort to help increase self-motivation and comfort in making mistakes as part of learning. 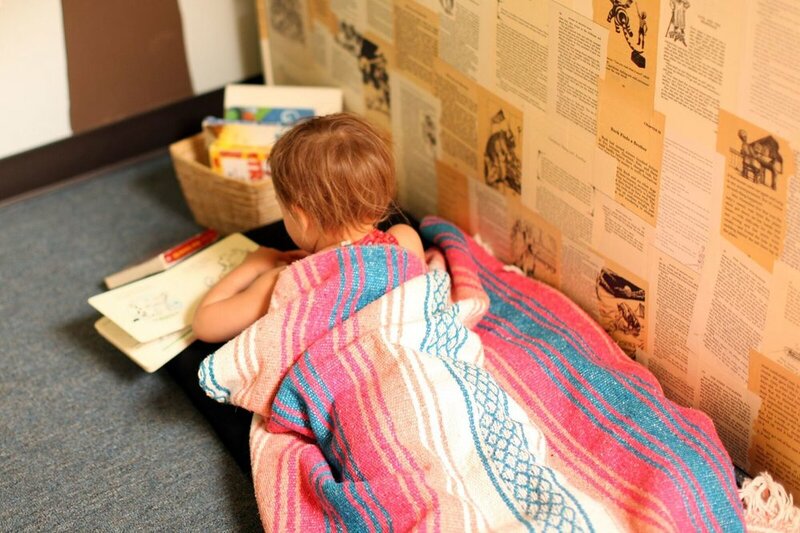 We utilize literacy materials and storytelling within the classroom, as windows to considering differences, understanding feelings and making connections with one another and the environment; and encourage reflective and dramatic play as ways for children to engage and share their learning. Parent Partnerships: We value parents as the first teachers and recognize that each family brings a unique perspective to the classroom. We encourage families to support classroom learning by making connections between home and school. Young children ask many questions, and in their inquiries, in their learning how to learn, they invite us to become reciprocal partners in their process. Our regular classroom communication and shared documentation/recordings provide parents with windows into a child’s thoughts and the discoveries taking place within the classroom. This shared documentation helps connect parents to their children's learning week by week, so parents can ask questions and continue to encourage curiosity with their children at home. We also welcome authentic participation from families through cultural shares or skillful contributions of time and talent (i.e. field trip guides and enrichment opportunities, natural ecology expertise, sharing expressive arts/storytelling, photography/web assistance, devising a scholarship program, community partnership building, etc). Community Partnerships: Operating through a Reggio lens, we consider both the classroom and the larger community environment as a “third teacher” for our students. Jamaica Plain is a vibrant, diverse community. Our school is located in the heart of a thriving small business complex and bustling artist network. Given our proximity to the open green parks and play spaces of the Southwest Corridor; and over a decade of relationships built through our sister company, Mama & Me, we are fortunate to be able to connect to and access so many resources for enriched, hands on learning: from working cafes, to community advocates, and a diversity of studio, mixed-media and expressive artists, right here in our building. Schedule a tour to learn more.